My go to place. My wife and I's favorite store. I have to say that I was really impressed by this dispensary. The owners have clearly put a lot of thought into making the customer experience great. The space is open and inviting. I was helped by Josie, who was truly knowledgeable and friendly. What I appreciated most about Josie was that she was not pushy and her primary focus was helping me make a selection that would meet my needs. I’m not an expert when it comes to the different strains, so her help really was appreciated and made me feel more confident about what I was getting. Big shoutout to the owners for a well thought out environment, atmosphere and for there selection of staff! My Budtender Karlie was very considerate and patient with my search for a vape cartridge. I finally decided on the Echo Electuary Purple Champagne Indica cartridge and I’m happy I did so. I really like the service and nice calm pace the place runs at. Thank you for leaving us this splendid review. We try to have as many high quality options as we can at a great value. Our low priced options are products we like to purchase ourselves and medicate with. We all work hard in this industry and we like to show our appreciation any way can. Thanks again, have a great day. Jon helped answer all my questions and recommended some great items. Was also really impressed with the interior of the store. Will be going back for sure. I’ve been to numerous dispensaries and this one is top notch! From the products to the staff and atmosphere, this is my favorite and ONLY place I get my meds in Oregon. 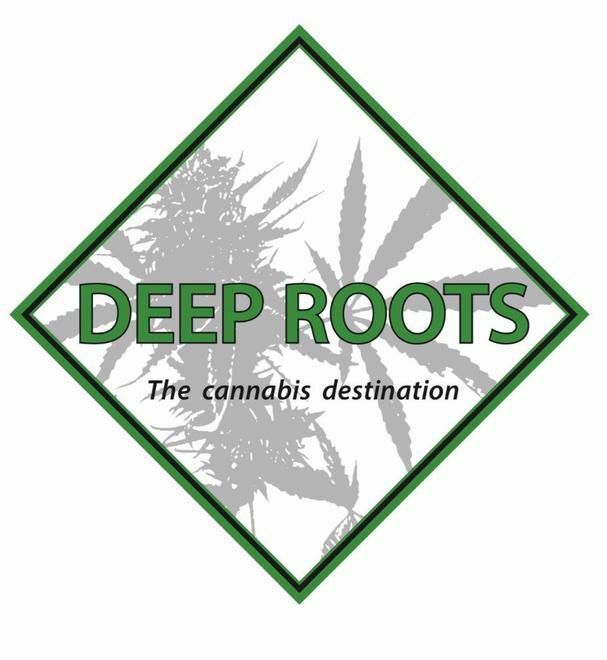 If you’re looking for top shelf flower and quality concentraties, you have to check Deep Roots Cannabis out. The people who helped us were really nice and provided lots of good information without overwhelming us with buzzwords and attitude. We really enjoyed our purchase and will be back soon! Tasty selections but above all, every time we’ve been in, the staff is not only friendly and patient but also very knowledgeable & helpful... owner included. You’ll never hear “sorry, I’m not sure.” or “I don’t know, if doesn’t say.” Menu on Leafly seems to keep up to date which is nice if you live outside of town. Usually stopping in for particular extracts and then finding some nice flower too;). Haven’t been disappointed here yet. You can tell that they strive to inform and educate people while offering a nice selection of well organized, easy to browse product. Thanks y’all!